This Friday morning the FC Barcelona squad returned from their day off, following their 2-4 win against Tottenham Hotspur at Wembley. The focus for the players switched to LaLiga action, and the upcoming game against Valencia CF away from home. 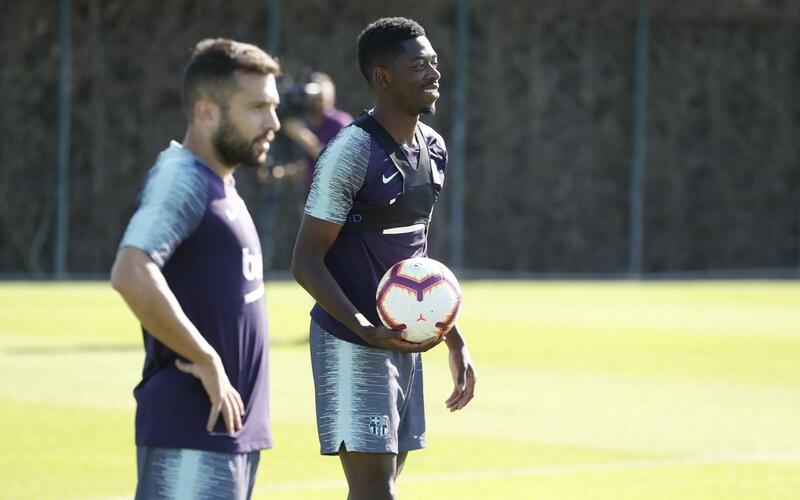 Coach Ernesto Valverde oversaw the session, which featured all available first team players plus Oriol Busquets from Barça B. The starting eleven from the Champions League game undertook recovery work. The final training session before Sunday's Matchday 8 clash at Mestalla (8:45pm CEST) will take place on Saturday at 6pm, preceded by Valverde's pre-match press conference at the Ciutat Esportiva Joan Gamper press room at 5pm.